GOG Games is offering huge discounts on a range of Double Fine games this week. 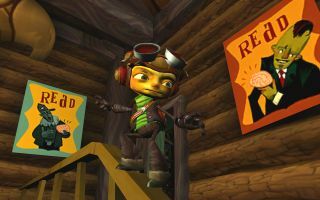 If you somehow missed out on some of these classic titles the first time around, GOG’s Weekly Sale is discounting games like Psychonauts and Grim Fandango Remastered by up to 90 percent. This means you can pick up Grim Fandango Remastered, Full Throttle Remastered, Brutal Legend, Day of the Tentacle Remastered, Psychonauts, Massive Chalice, Broken Age: The Complete Adventure, Costume Quest, and Stacking for a total of just £21.41. Not too shabby given Broken Age alone usually retails at £14.99, right? There’s also a range of additional content and soundtracks also available—head on over to GOG sale page for the full details. If you’re interested, don’t hang about; the sale ends on November 20, 2017.